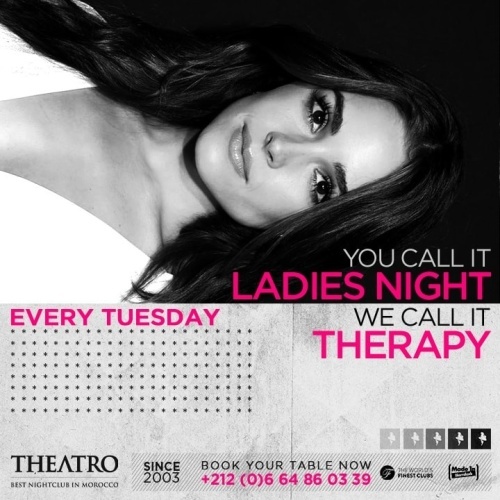 "You call it Ladies Night, We call it Therapy"
Since 2003, We celebrate Ladies every Tuesday night. Chic and elegant at the same time, these ladies are seduced by a trendy mood. Alone or not, they dance until the morning because tonight they are queens!